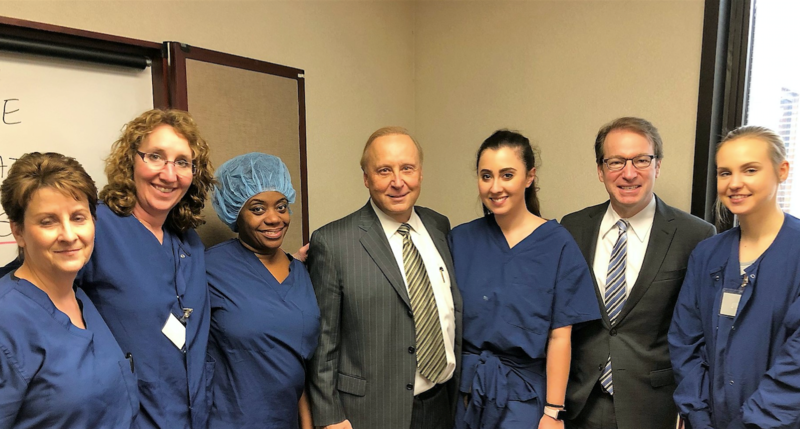 Nurses from the Midwest Center for Day Surgery in Downers Grove, Illinois, with Administrator Ron Ladniak and Congressman Roskam. 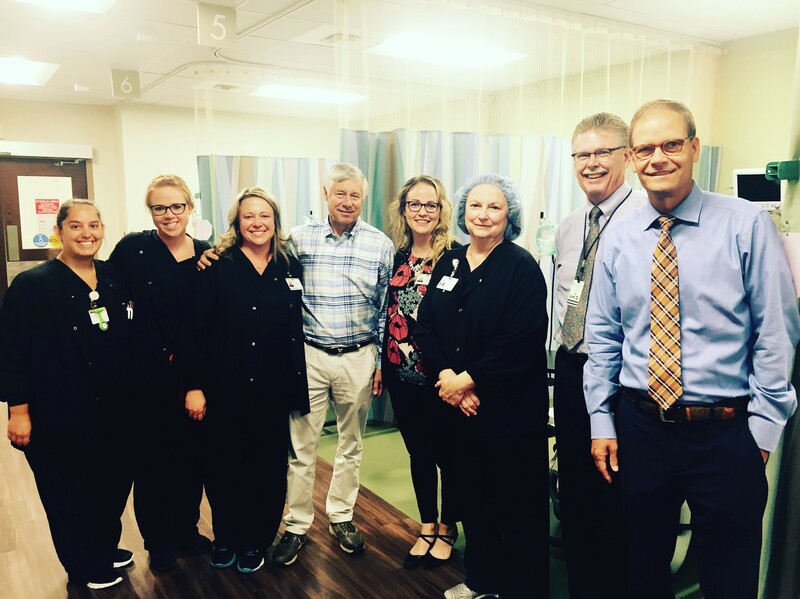 Representative Fred Upton (R-MI) (middle) at the Great Lakes Surgery Center in St. Joseph, Michigan, during the 2017 National ASC Week. 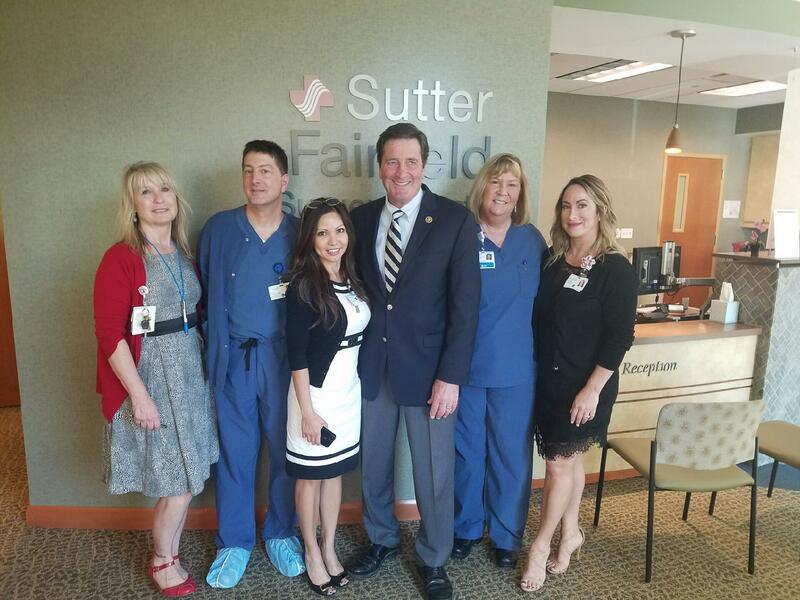 Representative John Garamendi (D-CA) (middle) at the Sutter Fairfield Surgery Center in Fairfield, California, during the 2016 National ASC Week. ASCs provide high-quality care at a low cost. Yet many policymakers are unaware of the countless benefits that ASCs provide to their patients and the community. Hosting a tour of your center for a policymaker gives you the unique opportunity to show them firsthand the benefits that your ASC provides. Furthermore, hosting a facility tour creates a personal connection between you and your elected officials that may directly affect ASC-related legislation and regulation. Events like these raise the profile of ASCs in the health care marketplace and ensure support during key policy-making processes. More than half of the federal officials who toured ASCs went on to support ASC legislation. Learn how to become a part of raising the profile of ASCs, how to build a personal relationship with your elected officials and ultimately effect change in legislation and regulations by emailing Adam Parker at aparker@ascassociation.org. How do I invite a legislator to my ASC? You can reach out on your own, or ask Adam Parker at aparker@ascassociation.org to assist you. The first step is to send an email invitation to the scheduler or district director. See below for an example email template. I am the [INSERT TITLE] at the [INSERT ASC NAME] in [INSERT CITY]. We provide high-quality, low-cost care to your constituents. The physicians and staff at [INSERT ASC NAME] would like to invite [LEGISLTATOR’S TITLE AND NAME] to visit and tour our facility. The [CONGRESSMAN/SENATOR] can learn firsthand about the quality of care we provide to patients. The tour would last about 45 minutes to one hour and we are located at [INSERT FULL ADDRESS]. Does [LEGISLATOR’S TITLE AND NAME] have availability to visit on any of the following days? Once a date and time has been confirmed, discuss the plan internally with your facility staff. Some facilities ask if the legislator would like to observe a case; some provide a simple walk-through of the patient experience and end with a roundtable discussion. ASCA staff will send you materials to hand out to the elected official and staff. Don’t forget to take pictures! ASCA will feature your facility tour and photo(s) on social media and in the ASCA Government Affairs Update electronic newsletter. The tour went well. How do I follow up? The follow up is just as important as the facility tour. Immediately after the tour, send a thank you letter to the elected official and their staff. If they asked for additional information during the tour, be sure to provide it in the letter. Let ASCA know how the facility tour went so legislative staff can properly follow up as well. Having a legislator tour your facility is an extremely impactful way to make a difference and start a dialogue between you and the legislator about ASCs and the health care industry. Click here to download a template of an invite letter to send to your member of Congress or the administration. Click here to download a template of a media release that your ASC could issue following your event. If you have hosted a tour or would like assistance preparing for one, contact Adam Parker with any questions or comments.